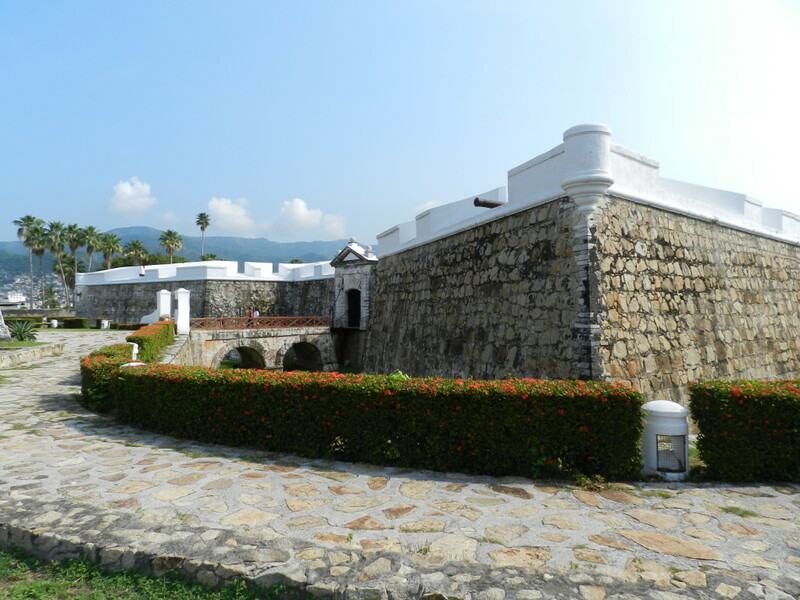 The Fort of San Diego is the most relevant historic monument in Acapulco and was the most important Spanish fortress along the pacific cost. Acapulco Historical Museum located inside the Fort of San Diego. The present structure was rebuilt on the ruins of the former fort, which was destroyed in an earthquake. 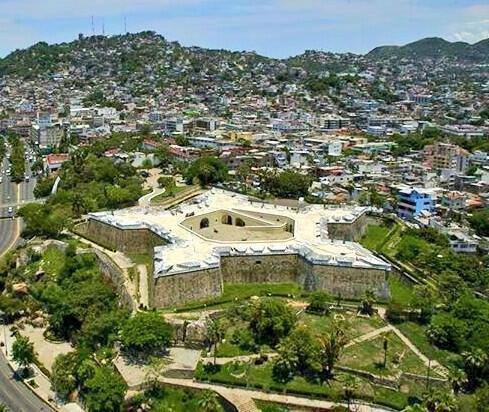 Located on a hill in the heart of downtown Acapulco, the fort is an integral part of the landscape that stands out because of its singular geometric design in the shape of a five point star. 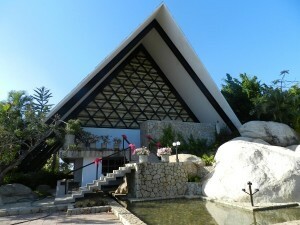 This important building houses Acapulco’s History Museum. 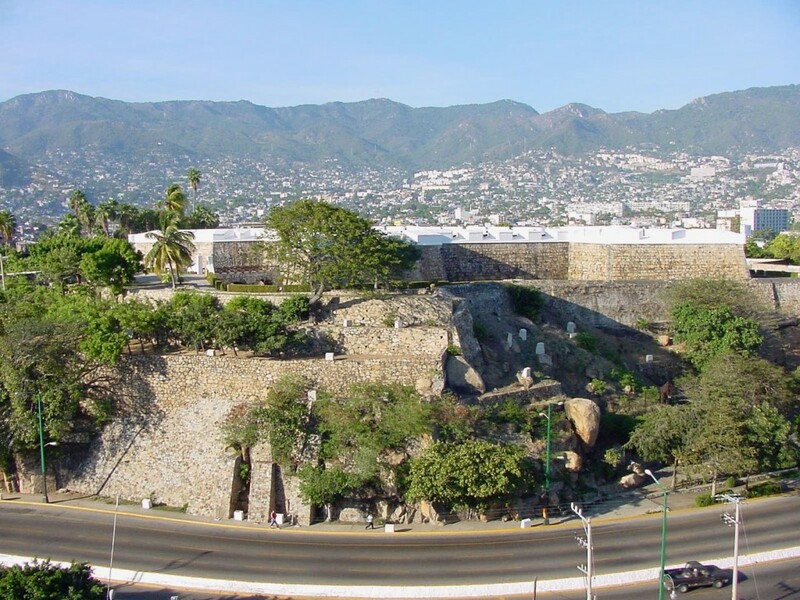 Through its 15 exhibition rooms or halls, the museum tries to show the most relevant moments in Acapulco’s history and the important role the fortress has played in the local dwellers lives. For the general public, the museum offers information on events related with this significant place, the old fortress gives an account of its rich past, the culture of the first inhabitants of the region, the conquest of the Southern Seas, commerce with the Orient, piracy in the Pacific Ocean, the Mexican war of independence and other aspects relevant to the place itself. The archaeological and historic objects that we can admire in the permanent exhibition rooms belong to the museum’s own collection, and they are enriched with loans from other institutions such as the Vice regal National Museum as well as from private collections among which stands out that of the antiquarian Rodrigo Rivero Lake. These objects conform a notable heritage, since they speak about far away worlds that were brought together for more than two centuries through a commercial trade route, as well as speak about the region of the State of Guerrero with its interesting archaeological cultures such as the culture of Mezcala, integrated with Mayan and Olmec influences, mixed with local groups, that achieved to create ceremonial centers and a complex of figurines and masks with strong geometric traces known as Mezcala style. The Museum counts with services such as a ticket counter, store, auditorium, an educational services department that offers guided tours of the exhibition rooms as well as of the fortress itself, a temporary exhibitions room, ample parking space, gardens that show the visitor the species peculiar to tropical forests and, above all, a magnificent view of the port and the incomparable Bay of Santa Lucía. The Mezcala Style has been defined by the portable sculptures or figurines and flattened masks made with thick rims, lines and hollows distributed with a great plastic sense and symmetrically spread within a rectangular or trapezoidal face, around a rim in the form of a T that constitutes the eyebrows and nose. Numerous representations of animals, utensils, architectural models and representations of ball game constructions have also been found. Acapulco represents the entrance door of all the merchandise and influences of cultures native of various continents, it is a crossroad of races and peoples, home to the famous Manila Galleon and of its fairs. The Museum safe keeps the most distinguished part of this history. Fuerte de San Diego (San Diego Fort) perched atop a hill in the old part of Acapulco. 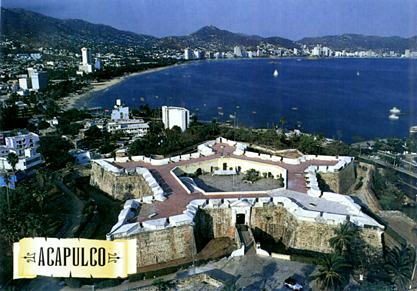 Here you can get an idea of the role Acapulco played during Mexico´s colonial days. 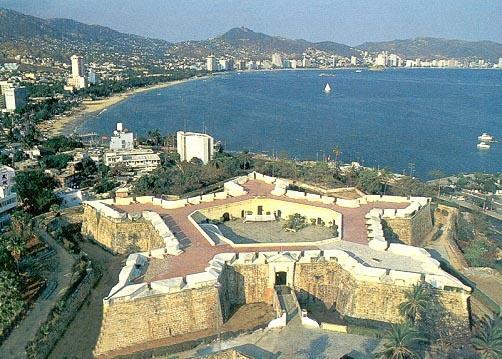 Hernán Cortés, the Spaniard who led the conquest of Mexico in 1519, chose Acapulco to be his shipbuilding headquarters, and numerous expeditions to the South Seas set sail from Acapulco during the 16th century. 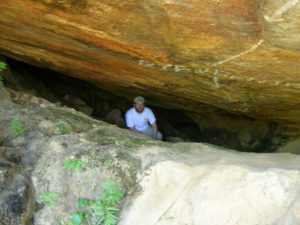 Spanish Conquistadors built San Diego Fort in 1616 to protect their galleons from marauding English and Dutch pirates. 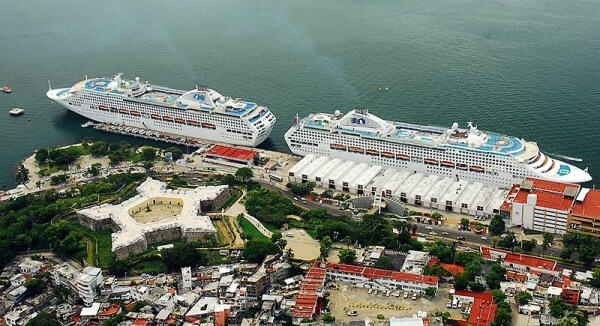 Ships from Manila in the Philippines regularly docked at Acapulco, making it the most important Spanish port on Mexico´s Pacific coast. 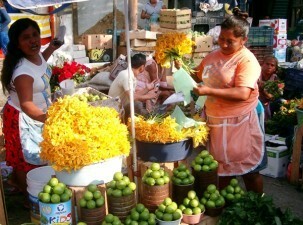 Well into the 19th century, Acapulco hosted a flourishing trade fair, where goods from Mexico, Peru, and Spain were exchanged for products from the Far East. An earthquake destroyed much of San Diego Fort in 1776, but it was rebuilt several years later. Shaped like a five-pointed star and surrounded by a dry moat, the fortress has been completely restored and now houses a history museum. You can wander through converted military quarters containing weapons, seafaring paraphernalia, along with Chinese porcelain, elegant furniture, textiles and other artifacts from Asia. 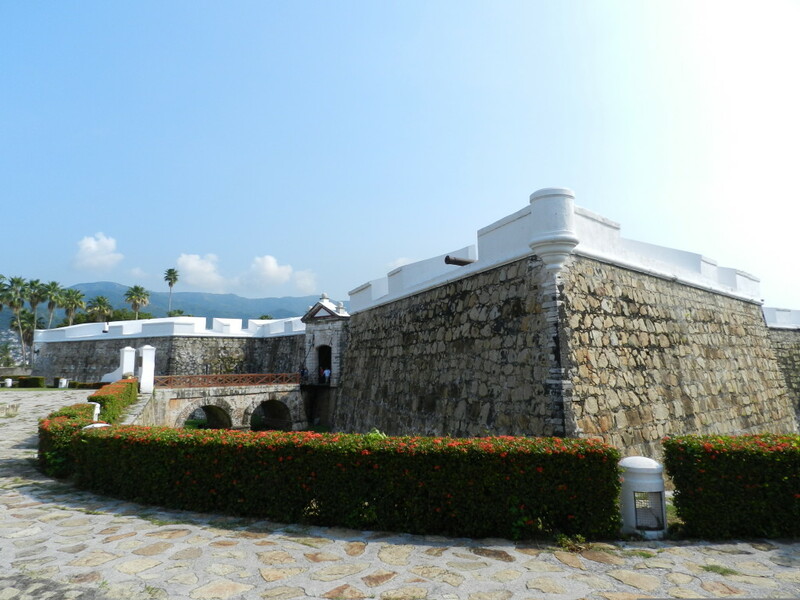 There are also interactive videos (in both Spanish and English) highlighting various aspects of Acapulco´s history, plus a colonial-era chapel and a kitchen with traditional fixtures and utensils. 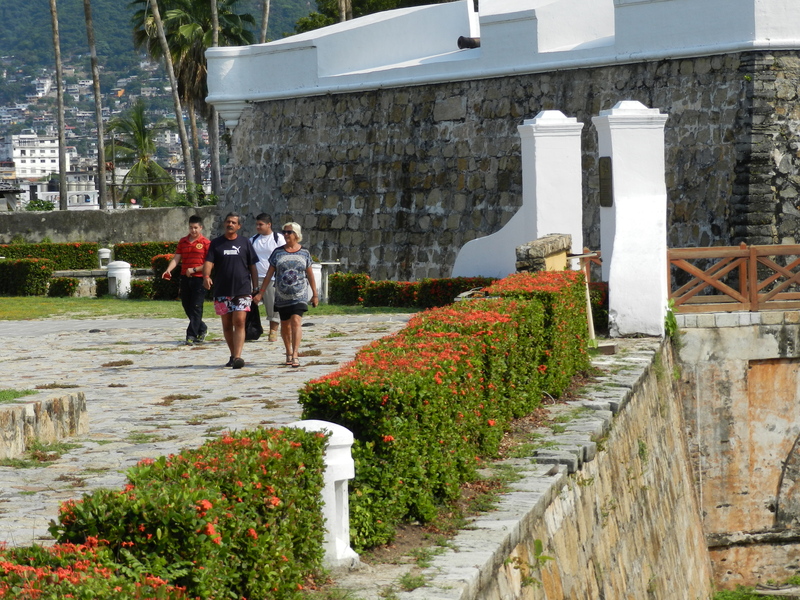 On the fort´s upper level, you´ll find rows of rusty cannons still keeping watch over Acapulco Bay.